It's 20:49 in Elberon, USA right now. 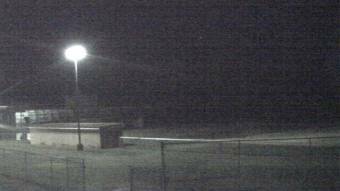 Surry High School A webcam in Elberon, Virginia - camera location: Surry High School. Surry, Virginia: Chippokes Plantation State Park, 5.1 miles away. Charles City, Virginia: Charles City High School, 21.3 miles away. Christchurch, Virginia: Christchurch School, 41.4 miles away. Richmond, Virginia: The Steward School, 44.2 miles away. Richmond, Virginia: All Saints Catholic School, 44.2 miles away. Richmond, Virginia: Maybeury Elementary School, 44.2 miles away. Richmond, Virginia: St. Christophers School, 44.2 miles away. Ruther Glen, Virginia: The Carmel School, 66.8 miles away.